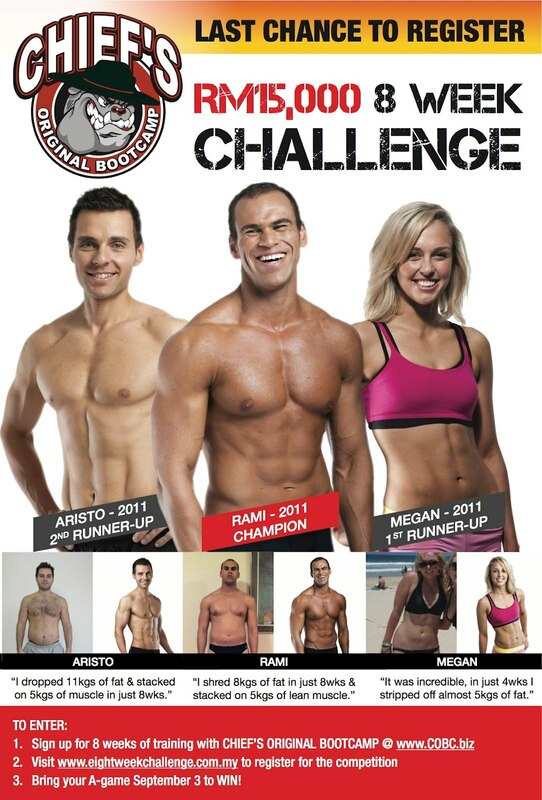 This is a once a year challenge organised by Original Bootcamp (facebook) in Australia, and in Malaysia we have Chief’s Original Bootcamp (facebook) to participate along with. What is this all about? and Why I wanna join? More detail about Malaysia enrollment can check out the link below, closing 2 September 2012!! and to boost up the winning spirit, COBC Malaysia include one special prize for winner. Vibram Five Fingers Spyridon or Seeya!! Too tempting lar wei.. check out the link below.